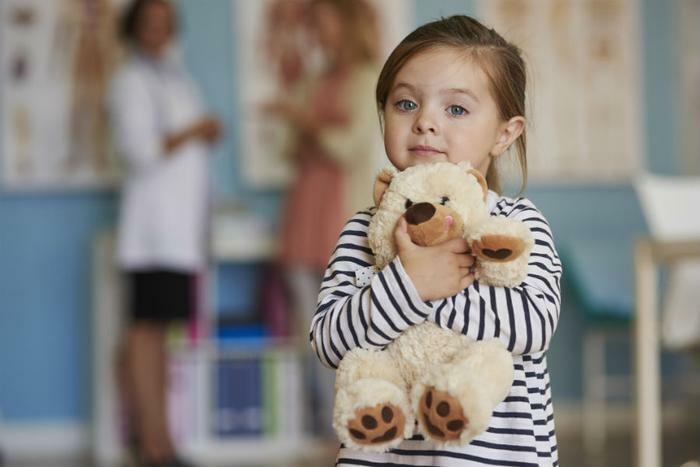 The American Academy of Pediatrics (AAP) has issued new guidelines which recommend having children stay away from toys in the waiting room at the pediatrician’s office to avoid contact with germs. The group says that doctor’s offices should avoid stocking their waiting room with plush toys, like stuffed animals, which are difficult to clean and can harbor germs. Even contact with items like books and toys are discouraged because they can be breeding grounds for germs, especially during cold and flu season.. The group also recommends that doctor’s offices implement the same infection control initiatives as hospitals. For example, the guidelines suggest that hand sanitizer and masks be made available to parents in the doctor's office, cough and sneeze etiquette be enforced via visual reminders, and tissues be properly disposed of. Instead of letting kids play with toys and games that may be available in the waiting room, AAP recommends bringing books and toys from home. To further curb the risk of infection, parents can keep their infant or toddler in their stroller until they are taken into an exam room. Parents can also check with the front desk about how long the wait is likely to be, then take a walk or wait in the car and ask the staff to call their cell phone when it’s their child’s turn, Dr. Mary Anne Jackson, co-author of the policy statement, told the New York Times. The updated infection-prevention guidelines also state that kids should get all of their recommended vaccines, including the flu shot if they are over the age of six months. Doctor’s office personnel should also make sure to get their annual flu shot, the group says.